There is nothing more lovely than a beautiful Autumn day! It is the perfect time of year to spend outside with family and friends. 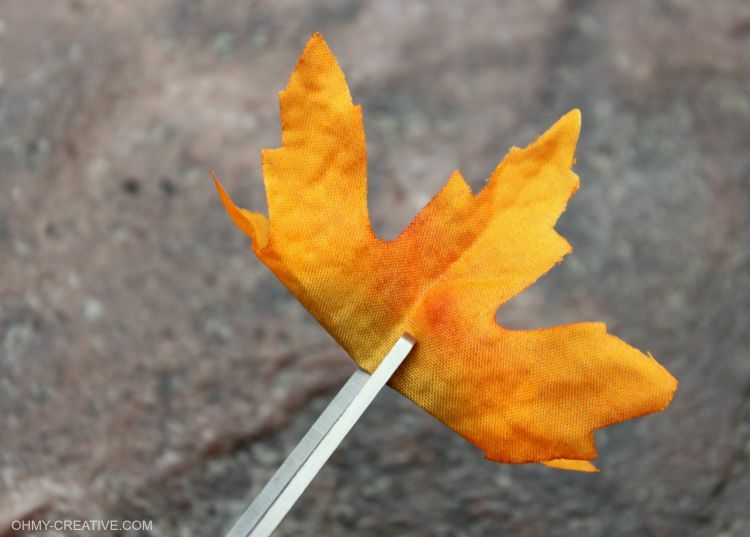 Recently, I gave my summer lighting a fall makeover using silk leaves. I couldn’t be more thrilled with the final look! The vibrant hues make the patio come alive! Love my Autumn Leaf Lighting! I purchased a few bags of silk leaves at Joann Fabrics for a couple of dollars. 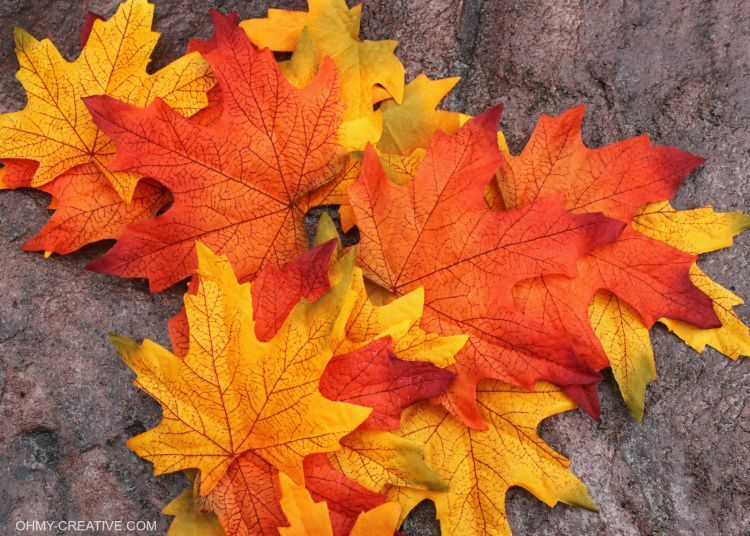 I also saw similar leaves at Michael’s and Dollar Tree. They were all inexpensive! I folded the leaf in half closer to the bottom and cut a slit in it. My lights have a little hook on the base so I am able to push it through the leaves to attach them. I put at least two on each light. These light sets are from Target. If you don’t have this style of lighting the same technique could easily be done to a string of twinkle lights – wrap it around a railing or sting on a tree in the yard! 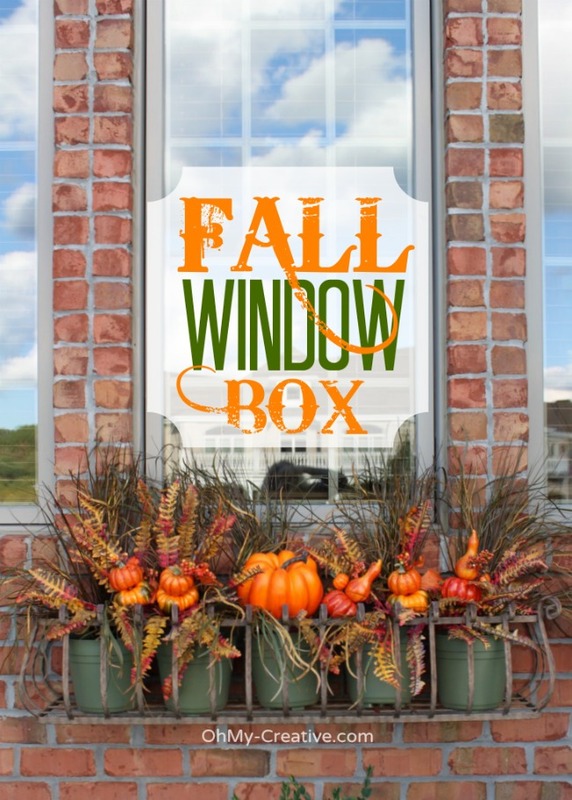 FIND MORE FALL IDEAS HERE! I really like the way the lights look with the leaves. This is something I could see making. These autumn lights were so easy to make. I hope you will give it a try! Wildly Original Linky party is open! 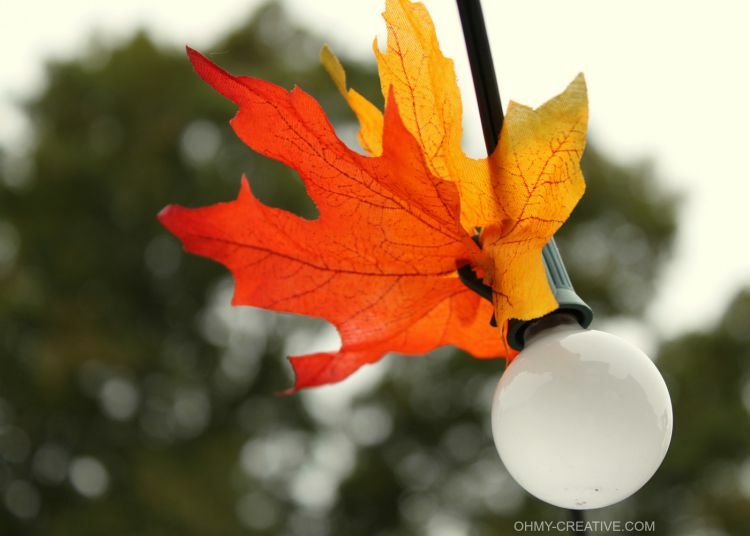 Thanks Christina for pinning my Autumn Lights…and for hosting your link party every week! Coming to you from Met Monday… Love this idea! The leaves look great on the lights! What a great idea! Love that it’s simple but makes great impact. I have these same lights so I may have to try something like this on our patio as well. Thanks for the inspiration! Visiting from 52 Mantels! These Autumn Lights were easy to make. I hope you will give them a try! What a great, simple idea…I want to hang out on YOUR patio! Thanks for stopping by – I do love hanging out on the patio…and it’s even better with friends! This is beautiful! Thanks for linking up To Whimsy Wednesday! What a fun way to dress up your outdoor space! Great idea! I do have a question though… I can see the one end of your lights are attached to your house, but what about the other end? Thanks! 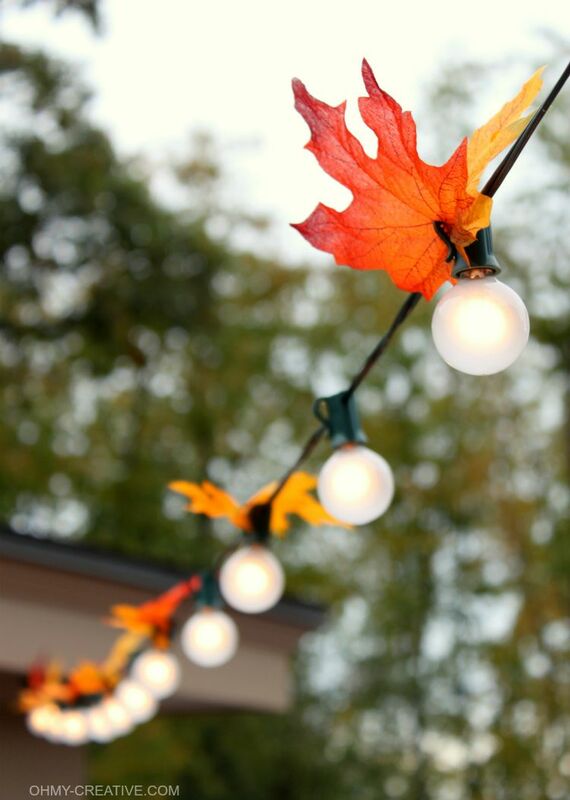 Your lights looks so pretty, love the style of lights so you can put leaves on light spot. 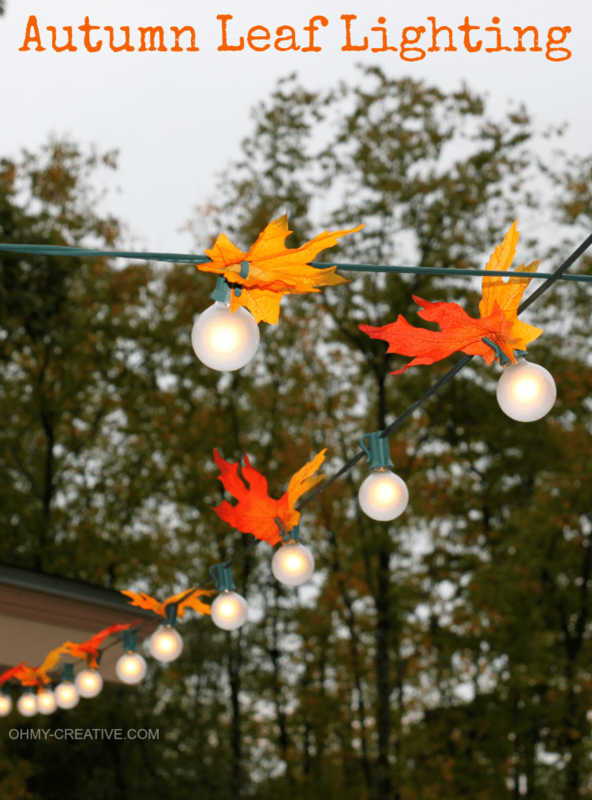 I love to put lights out in the Fall season as well as holiday times. The lights make things so cheerful. After the holidays I hate to take them down. I”ll put some in my front window and on front porch railing with some Fall garland leaves. Love colors on silk leaves that are available. Think a trip to $tree is in order. 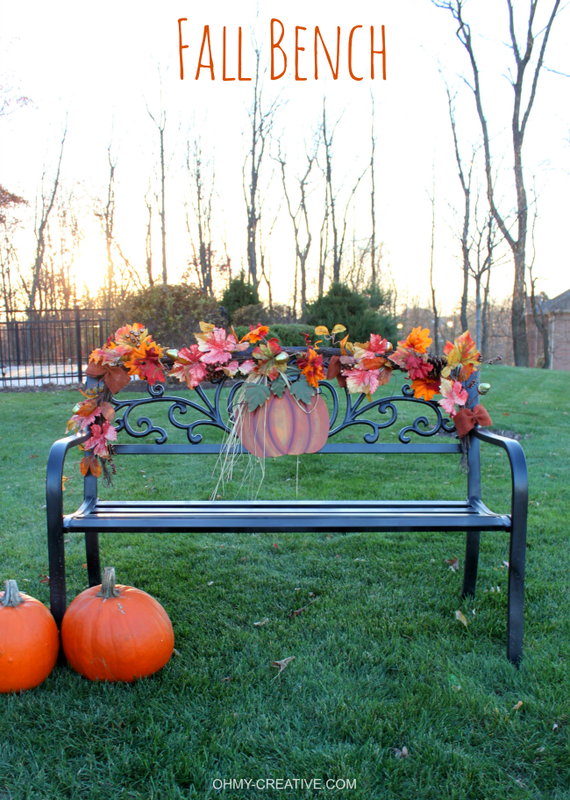 Thank you Karin…it an easy way to transition the patio into Fall!